I thought that my compilation of Dutch soul songs, that I made a few years ago, was worth a wider audience and I sent copies to several record companies and magazines, trying to raise some interest. I did this with several projects too, but nine times out of ten I don’t even got a reaction. And if I do got a reaction it was a negative one. I know that i miss the necessary talents to communicate with certain people, and over the years I lost interest in trying. Many people in the music industry, and in other places where they produce things in which I happen to have an interest, are mainly into making money. The products they make, are nothing but means to keep the money flowing into a well specified direction. It took me a long time to realise this. The gap between the part of the world that I live in, and the places where the mainstream media operate, is too wide for me to cross. I rarely even try to contact that part of the world any longer. When Dutch Rare Groove came out I was not only jealous, but also amazed. How did these guys ( Black Market Audio ) do this? They had gotten access to archives, communicated with several major record labels, settled the copyrights, etcetera. I realised that this is something I will never be able to get done. My talents lie elsewhere and I can better concentrate on the things that I love to do. And one of the things I love to do is making compilations for my own pleasure. 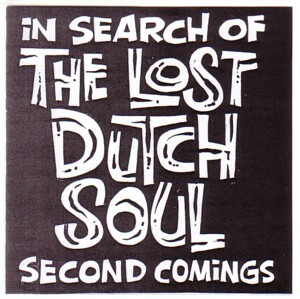 After some serious close listening to the Dutch Rare Groove CD I felt like trying to make another compilation with obscure Dutch Soul music. So I took my note book (I make notes for all the compilations I would like to make, even though I am well aware that I will never make half of the compilations that I have in mind) and spend a night behind my record player. The result is maybe not the best compilation in the world, but if anybody can do it better, I would love to hear that CD. I used many songs from bands that are definitely not known as soul bands. Like the George Baker Selection. Thanks to Quentin Tarantino their first hit, Little green bag , got world wide attention again. It is a fantastic song, but very unlike the rest of the repertoire of the band. If there was an LP released after using the song in Pulp fiction, most buyers will have been disappointed when they hear the bouzouki ballads that were a trademark of the George Baker Selection. 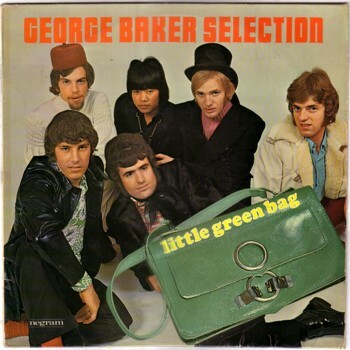 Later George Baker wrote Una paloma blanca , a world wide monster hit, that made it very difficult for me to listen with open ears to any other track by the George Baker Selection. But one day I heard I wanna love you and just loved it. It does not make up for Una paloma blanca , but it is a song that deserves a second chance. What ever happened to Linda Bont?